Carbide specialist company Ceratizit uses a semi-automatic measuring machine for production control. 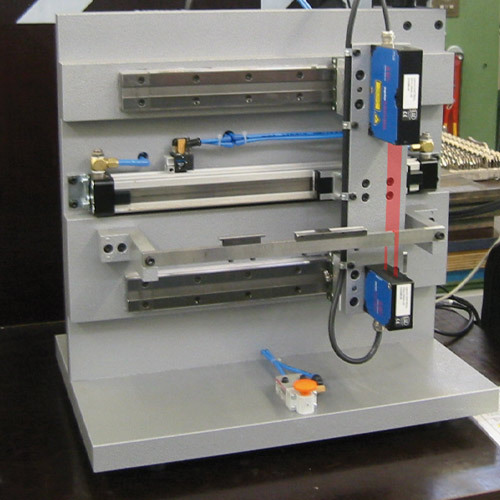 This device checks cutting plates for dimensional stability. The cutting plates are moved horizontally for each linear axis and pass through the light beam of the optoCONTROL 2500 through-beam sensor. The edge of the cutting plate is measured exactly as a result of this movement.